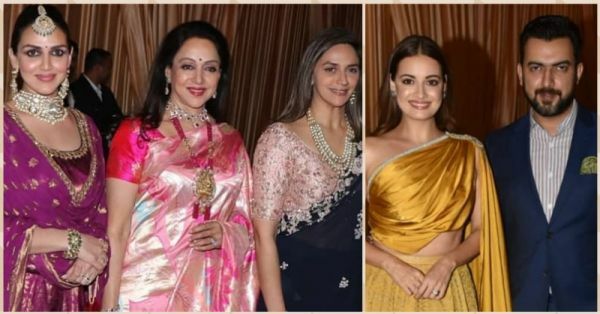 You may be throwing a party at your pad tonight, and it'll probably be fun, but we're pretty sure it's not going to be as cool and exciting as the Ambani wedding reception tonight! Yup, it's Isha Ambani and Anand Piramal's big night, and we're hoping every bigwig from B-Town will be there. And, we don't know about you, but we're super pumped to see who all will turn up. If you share the same excitement as us, then you're going to be in for a visual treat. Let's begin, shall we? 1. All Dressed In Black! Zaheer Khan and his wife Sagarika Ghatge are all set to party all night in black. 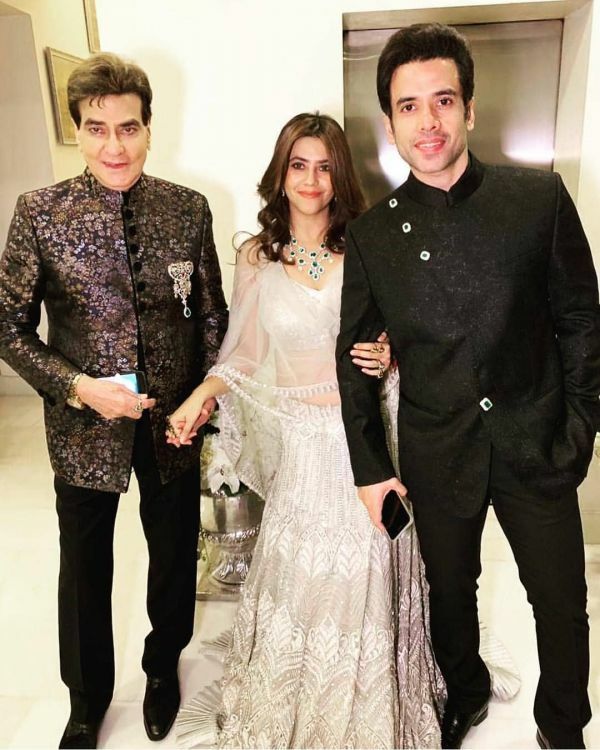 While Zaheer looked dapper in that black suit, Sagarika complemented her hubby by wearing a polka dot and stripe black saree with silver embroidery. Ekta Kapoor was one of the first celebs to reach the wedding reception. We definitely like what she's wearing, but we're particularly eyeing her emerald and diamond necklace. 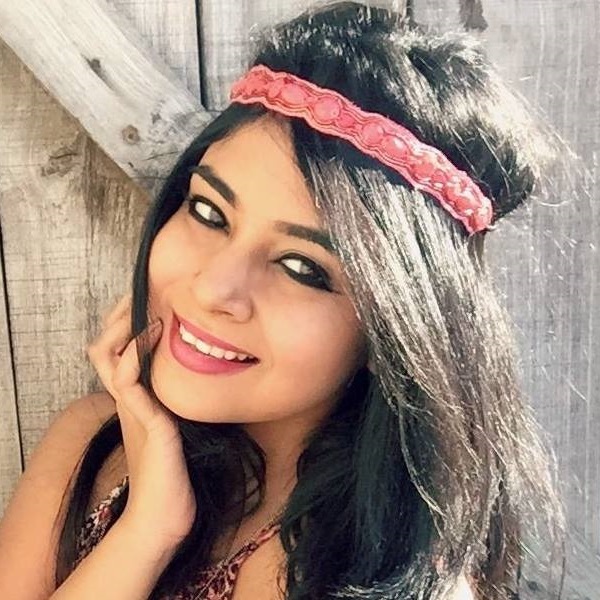 Just that one accessory and, of course, her smile makes that a knockout outfit! Doesn't this look like a happy family picture? Ya, we were thinking the same thing too! 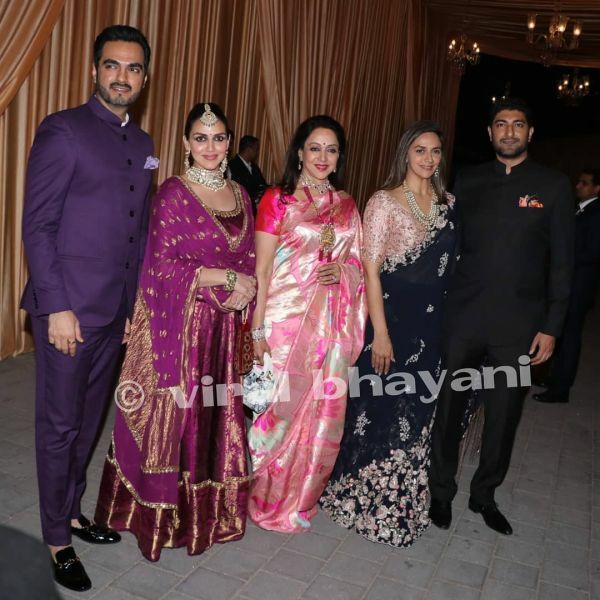 Hema Malini and her daughters, Esha and Ahana Deol, with their hubbies, are definitely dressed to impress tonight. We can all agree that Kartik Aaryan is a hottie. And considering he attended the reception looking like that, I doubt the women at the bash will be able to take their eyes off him. He looks good enough to eat in that suit! 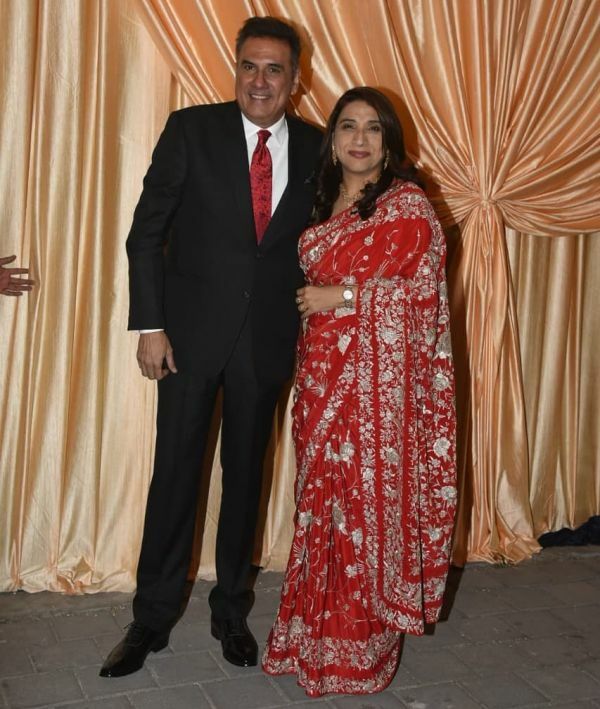 Boman Irani and his wife Zenobia are so adorable that they're actually twinning! While Boman decided to wear a bright red tie, his wife turned up in an elegant red embroidered saree. Aren't these two the cutest? !